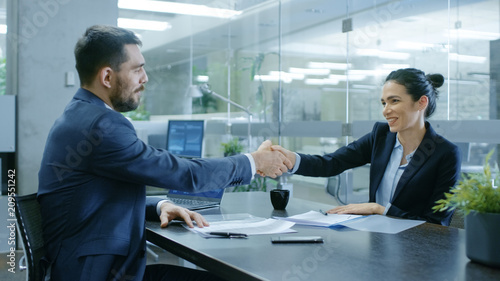 Businesswoman and Businessman Shake Hands. Draw up a Contract, Filling Papers in Conference Room. In the Background Modern Bright Office with Glass Walls.